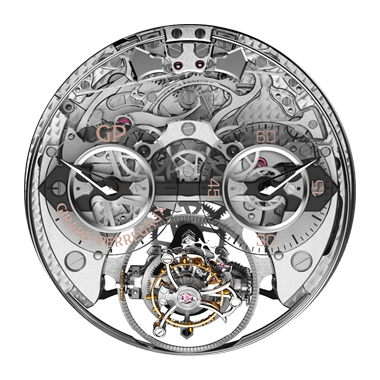 To celebrate the 2018 edition of the Salon International de la Haute Horlogerie de Genève (SIHH), Girard-Perregaux unveils a true technological and aesthetic revolution, the Minute Repeater Tri-Axial Tourbillon REF: 99830-21-000-BA6A which epitomizes the contemporary approach to horological complications adopted by the Manufacture Girard-Perregaux. Crafted in titanium so as to chime with greater intensity, this 48 mm-diameter model powered by a mechanical manual-winding calibre houses two of the most challenging horological complications: the minute repeater and the tourbillon simultaneously gravitating around three axes. Radiating intense originality and an equally powerful presence, the new Minute Repeater Tri-Axial Tourbillon asserts itself at first glance as a powerful historical and technical statement. This 48 mm-diameter titanium watch with its sophisticated design entirely in tune with current market trends encompasses the full range of Girard-Perregaux skills and unites within two major complications the entire spectrum of creative approaches that have punctuated the history of the Manufacture. Pricing is estimated to be around $300,000. 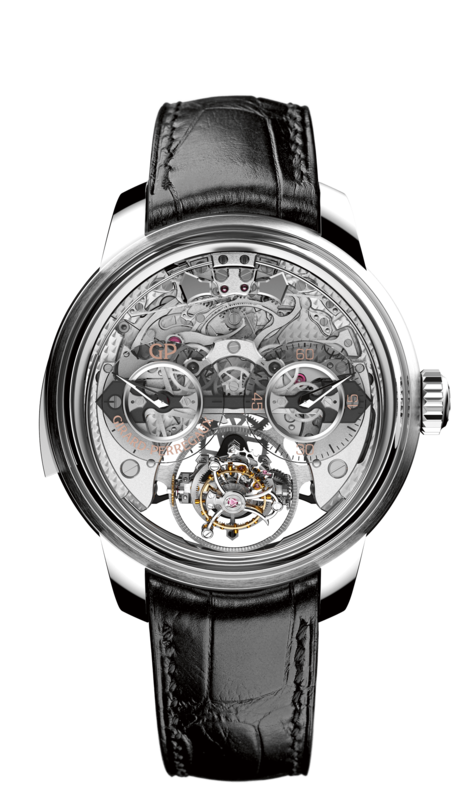 THE CALIBRE GP09560-0001 The repeater mechanism, gongs and hammers are visible on the dial side in addition to the triple-axis tourbillon carriage. This ingenious construction guarantees a sturdy sound even when the timepiece is worn as the resonance will not be affected by the body contact. 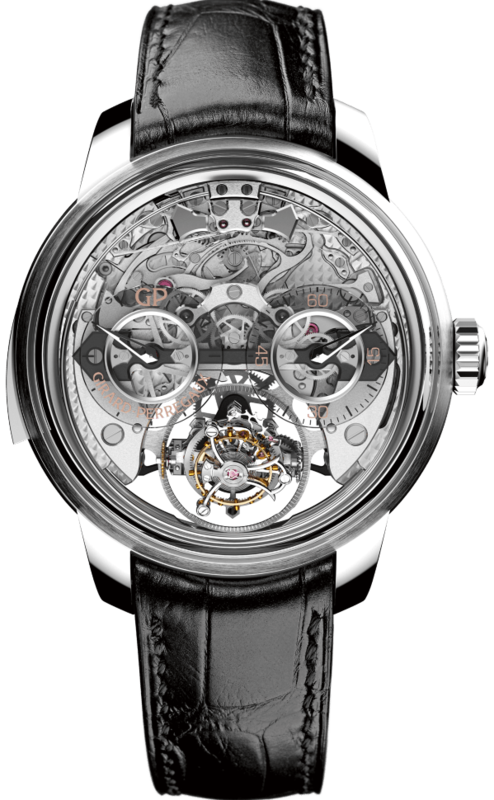 Hours, minutes, minute repeater, tri-axial tourbillon.